I was on my way out of a big box store in my area yesterday, and I just happened to glance at the putter rack and saw some vintage looking Anser heads. I walked over and there was a new Anser 4 and new Manganese Bronse Anser as well. Man, I rolled a few putts and they both felt really darn good! I really like their "petite" look as well, really thin flange, narrower sole width. I'm seriously thinking about picking one up. Get yourself one of these! Rare as a blue steak, but oh what a beauty!! I just found this after STUPIDLY selling mine 7 years ago. 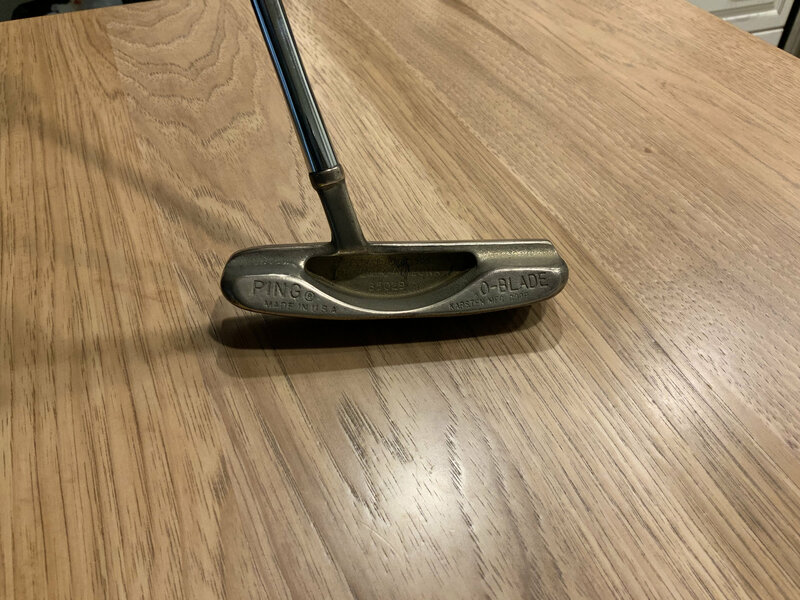 Idk why they don’t bring a putter like this back. Just give us classic anser shape no removable sole weights, no forged inserts. Give us a nice basic anser with a milled face. That’s what the people want. 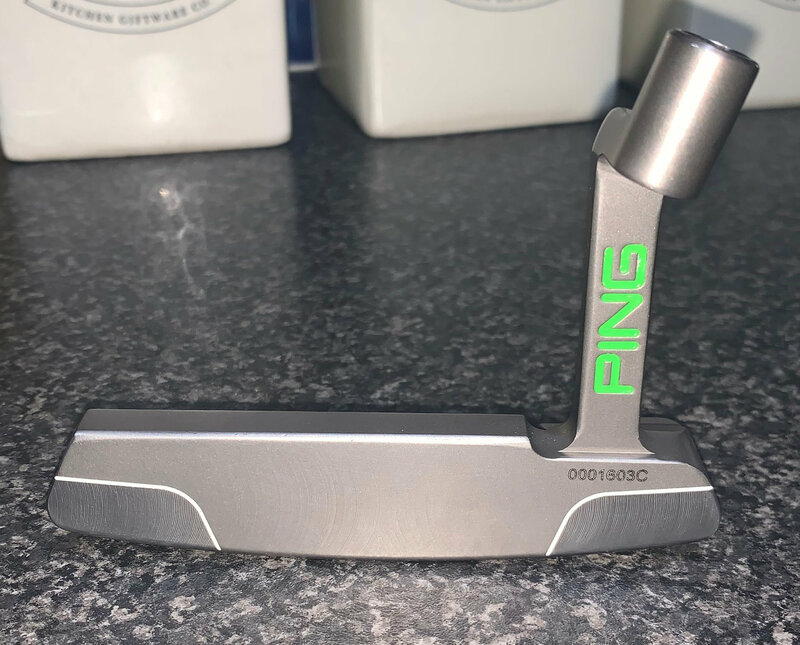 I love milled putters as much as the next person, but this one below is the one I'm referencing. It may not have the best roll but it feels really good. I will be going back to the store tomorrow to roll it again and possibly purchase. 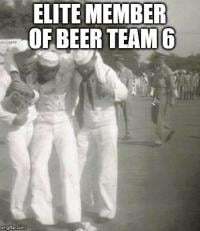 Definitely a classic for a reason. Ping will mill the face very reasonable. I had my MgBr Anser and Anser X milled. They look and roll the ball great! 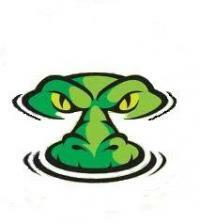 They can also do other mods you may want like adjusting length and/or lie. They can also add weight to the head if you like. Interesting, I don't necessarily NEED a milled face, and I believe these are already pretty light without removing more material. Either way, the current setup "as is" is almost my preference anyway, but thanks for the info. O Blade has always been my favorite. Surprised there aren’t more of them around. Oh, the other thing I should clarify if it isn't already apparent is that some of the classic designs are still in production, brand new. 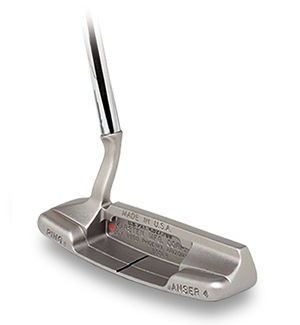 The Anser 4 pic above is from Morton Golf Sales, and it's the exact same NEW one I saw in a store. I love a good original Anser. A little light, but you can get used to it. No need for face milling, weights, etc. Can still order many of the models thru a retailer, Morton's site has the available models. I did in fact pick up a brand new Anser 4(remake) and I've delofted it some from about 5* to 3*. I decided to put it on the scale to see how light it is and wow, it's only 304g!!! Best part, it really feels good to me despite the weight, and I can lighten my grip to get really good feel with it. It's gonna see bag time the very first time I play again. Nothing but carpet putting so far, but the overall balance actually feels good. 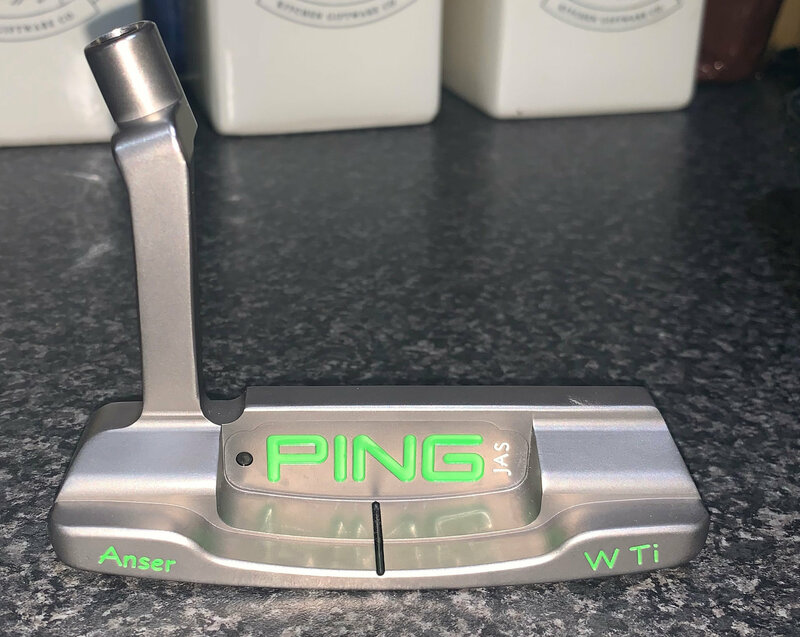 Trying to quit ho'ing clubs moved on to putters, picked up a jas wti, old anser 3, old anser, wrx ti2, sadly this is in the last two weeks, the beauty is they can be had cheap and still put a good roll on the ball, there was something just right about how these feel. Last update until I get a little course time, but my brand new Anser 4 is finally built up to my specs and it feels FANTASTIC. The blade height is on the short side, but it really forces me to keep the head centered on the equator of the ball. When struck relatively close to the sweetspot it feels/sounds every bit as good as all the Byron's and Scotty's I've owned. 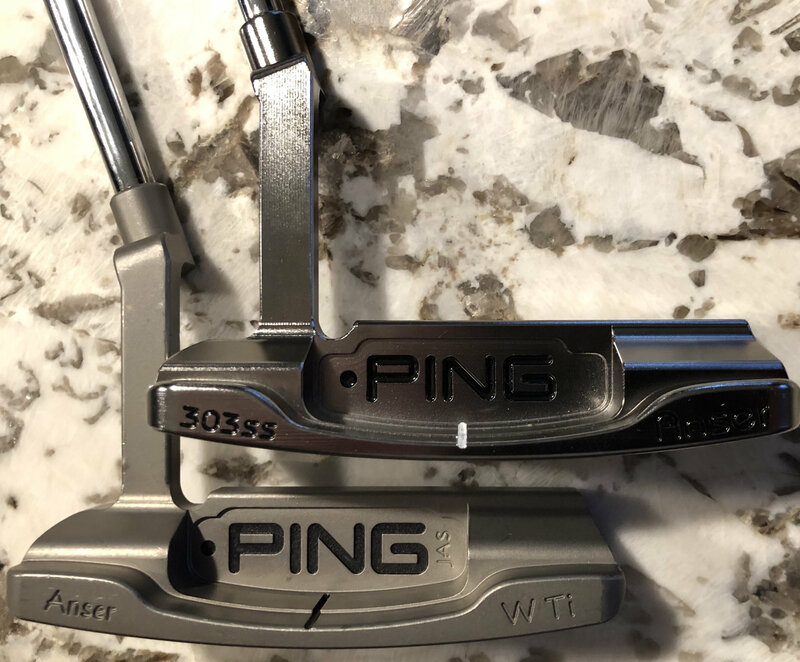 Absolutely no slight on any milled putter maker, but this 305g cast Anser 4 head and Pingman grip are as good as anything I've gamed in the last 5 years. The light head is so versatile for me, I can grip it very lightly for super fast greens and more firm as the greens slow down. This combo seems to feel great at all levels and situations, it might be my Excalibur. The swing weight on this thing is ridiculous, but it just works. Just dialed the loft down slightly and it's rolling/feeling perfect. Not quite as classic, but I'm rolling a PING G2 Tess blade and rolling the ball the best I ever have. It feels great and is so simple, just point and shoot. Distance control/feel is sublime. That’s a beauty! What does that putter feel and sound like? 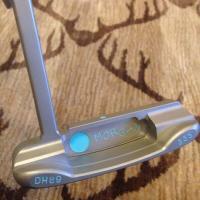 How would you compare it to a deep milled putter? I stumbled onto this one at the PGA Superstore a few weeks ago, and I loved it for some reason. It's quirky and has a distinct sound, but I still am thinking about it.